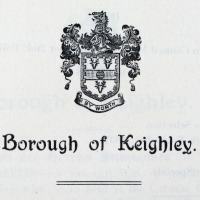 The following extracts are from Haworth Local Board of Health Minute books 1851 - 1894 and The Urban District Council Minute books 1895 - 1938 when the Council was merged with Keighley. The document is 130,000 words and there are a number of typo errors, these will be corrected over time. 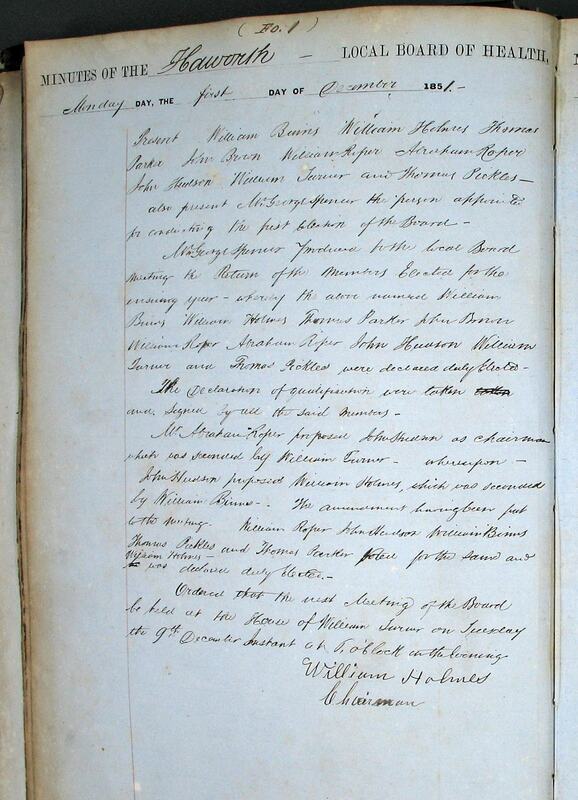 All place names are spelt as they were written in the original document. 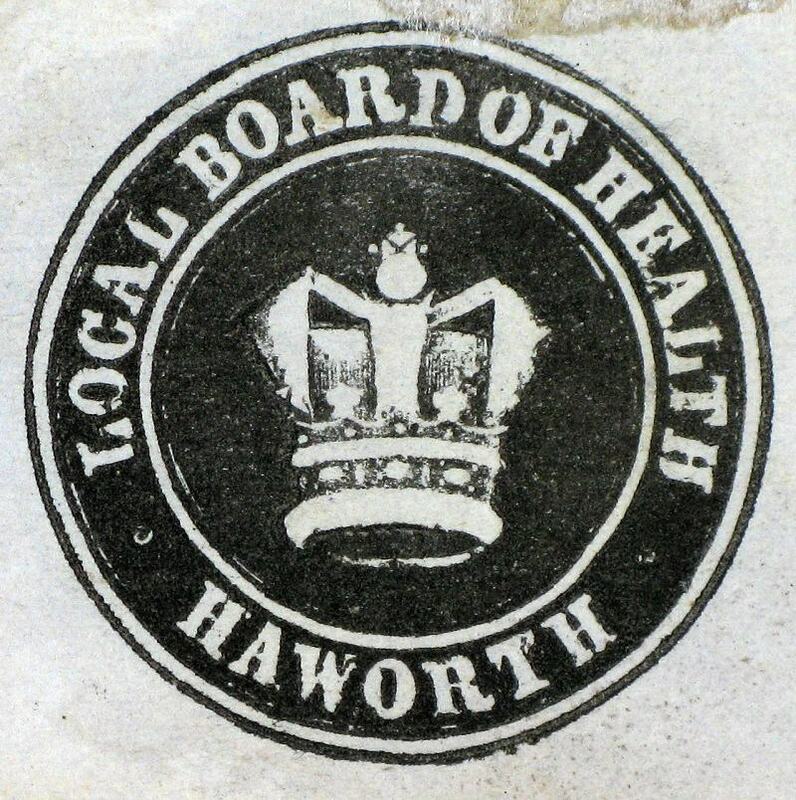 The first recorded meeting of The Haworth Local Board of Health was on 1st December 1851. Click on thumbnail below for the first page. Local Boards of Health were set up in England and Wales from 1848 to 1894. There were many diseases prevalent at the time caused by epidemics such as cholera. Boards of Health were given power to supply clean water, improving sewers and streets, and regulating premises such as slaughterhouses. It is due to the hard work by Patrick Bronte who petitioned for a Local Board of Health in the area that was granted in 1851. 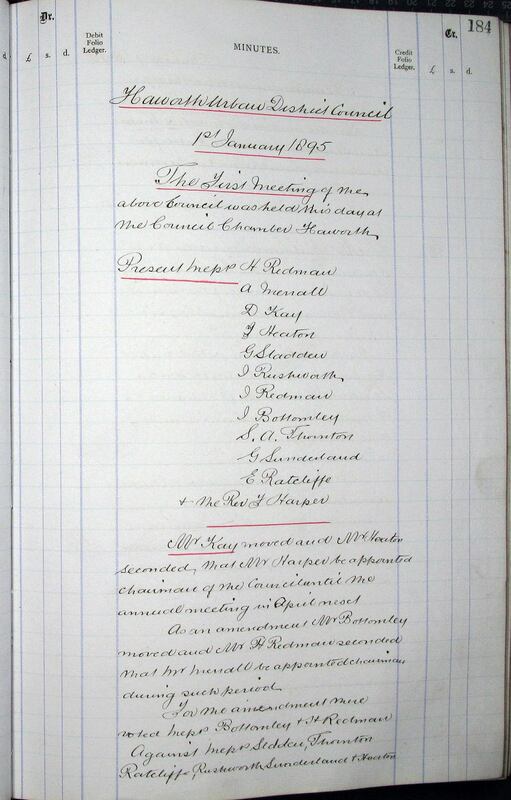 Haworth Local Board of Health held its last meeting on 28th December 1894. 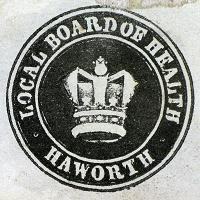 Haworth Urban District Council was formed from the Haworth Local Board of Health on 1st January 1895. Click on thumbnail below for the first page. 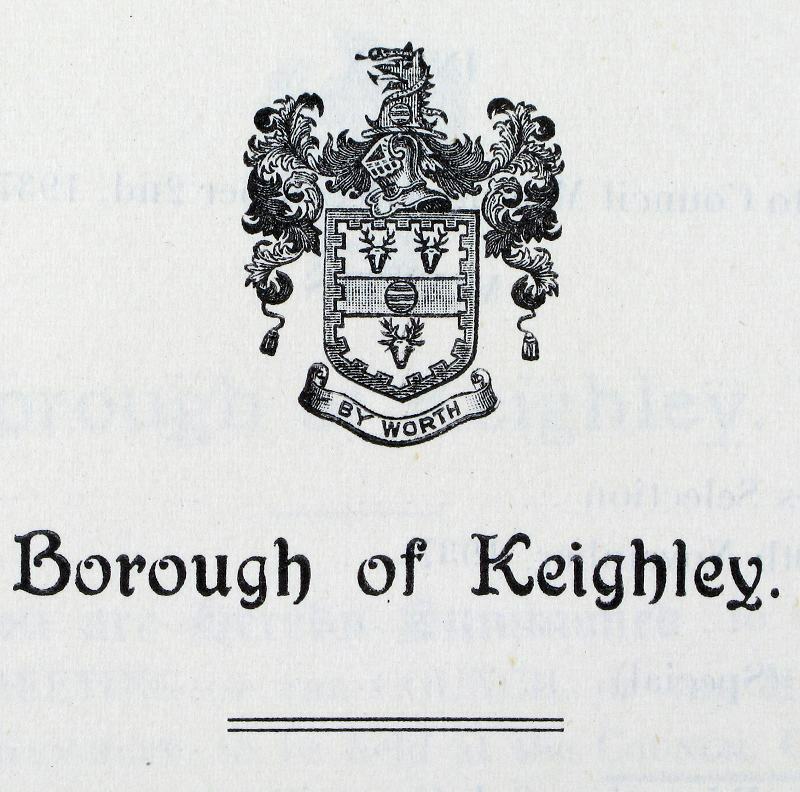 The Council finished duties on 31st March 1938, merging with Keighley on 1st April 1938. 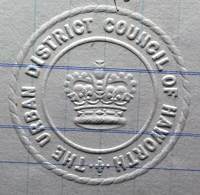 Thomas Duerden who had been Chairman of Haworth Urban District Council from April 21st 1914 - 1938 was elected to represent Haworth Ward, he became Mayor of the Borough of Keighley from 1938-39. 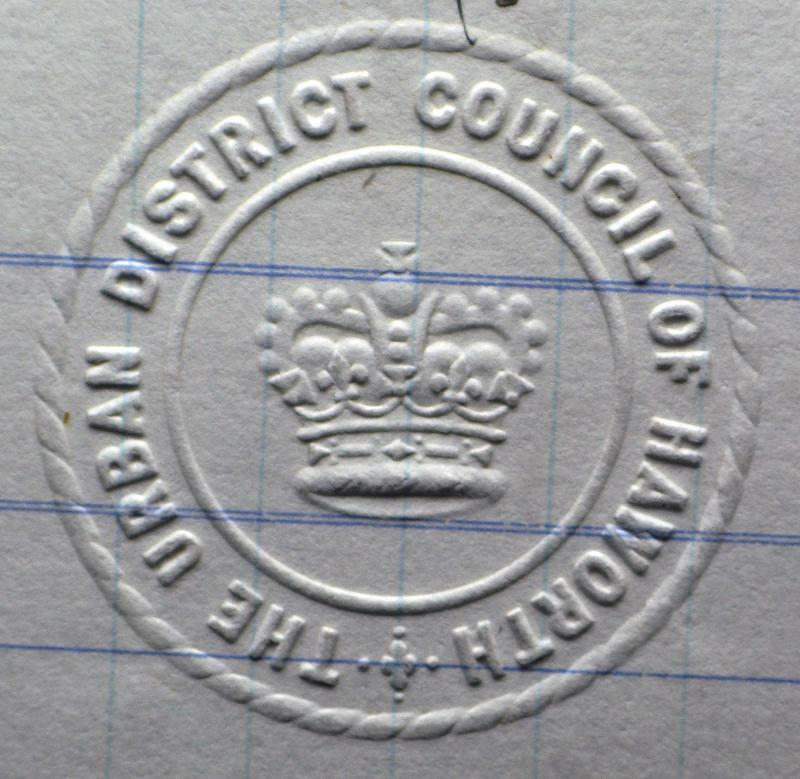 Take a 360 degree panorama of the Urban District Council buildings here... They stood on Belle Isle Road and were demolished in 2004 for housing. 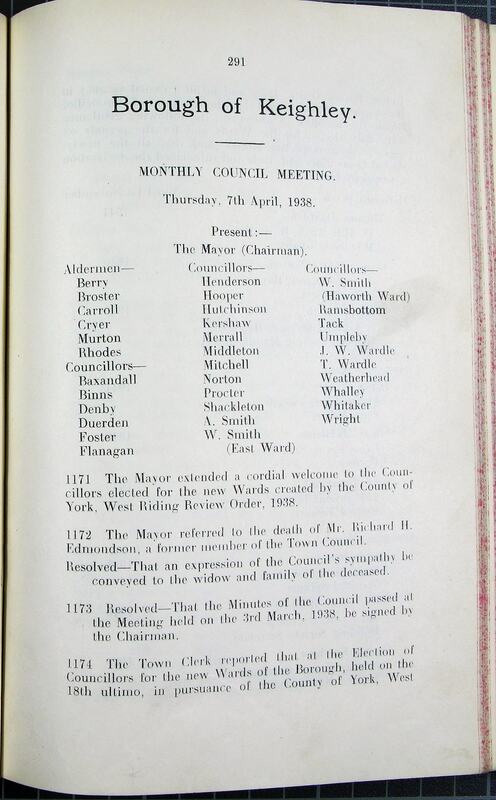 "The Mayor extended a cordial welcome to the Councillors elected to the new Wards created by the County of York, West Riding Review Order, 1938." Click on thumbnail below for bigger image. On 1st April 1974 there was a national re-organisation of the local government system, and Keighley and Haworth were incorporated into Bradford Metropolitan District Council. Currently (as of July 2010) Haworth is in the Worth Valley Ward of the Bradford Metropolitan District area. 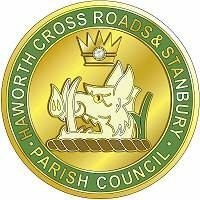 A desire for a Parish Council was started in 1972, it was in 1998 that the persistence of individuals and members of the Haworth Combined Residents Group led to the inauguration of the Parish Council on 19th May 2000. If anyone has any other information about setting up of the Parish Council, or any other matters relating to Local Council, then click contact and email please.